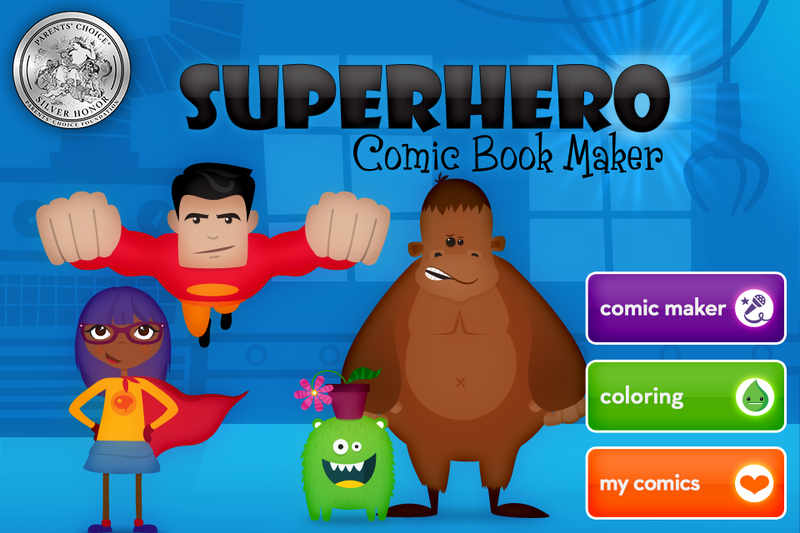 Create your own animated comic book featuring monsters and superheroes! Create and record your own stories! 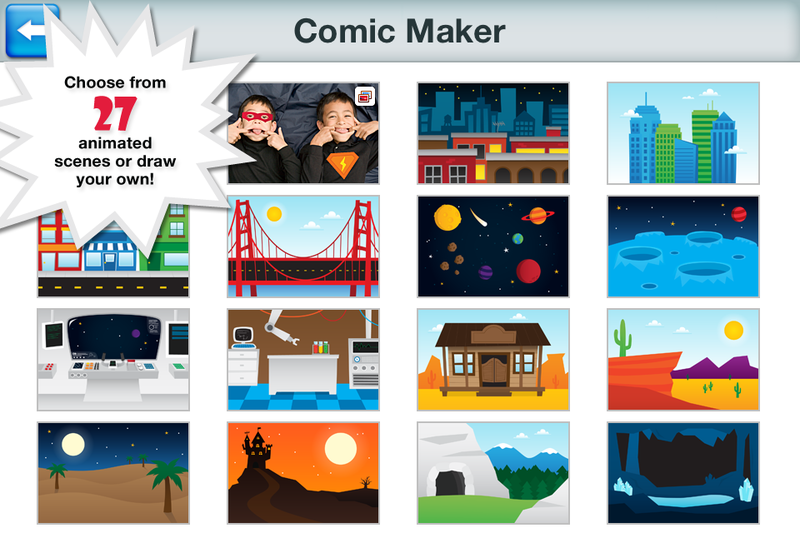 Put multiple scenes together to make a comic strip. 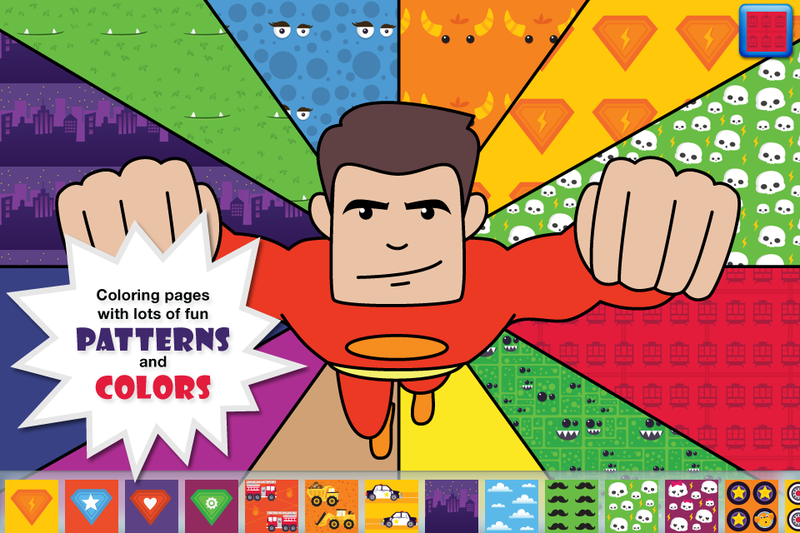 Includes 55 scenes and coloring pages with 170+ stickers. Splat! Ka-pow! Whizz! Record your voice. 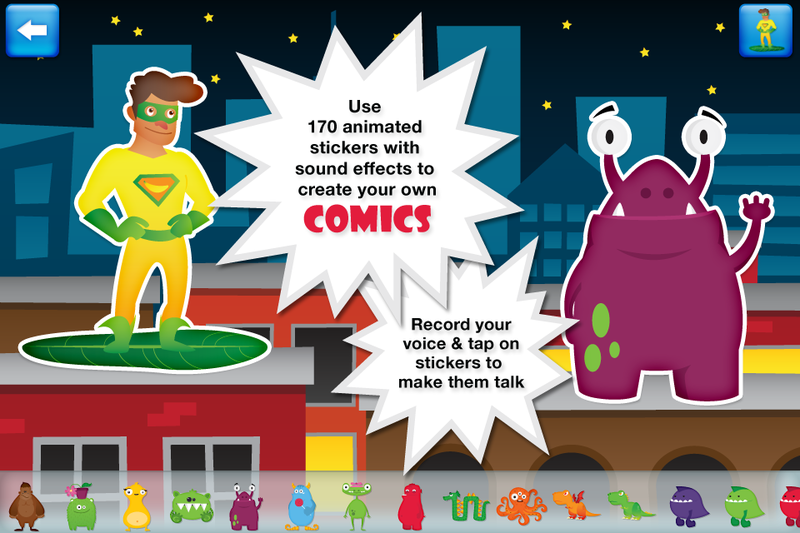 Move the stickers to create your own animated comic! 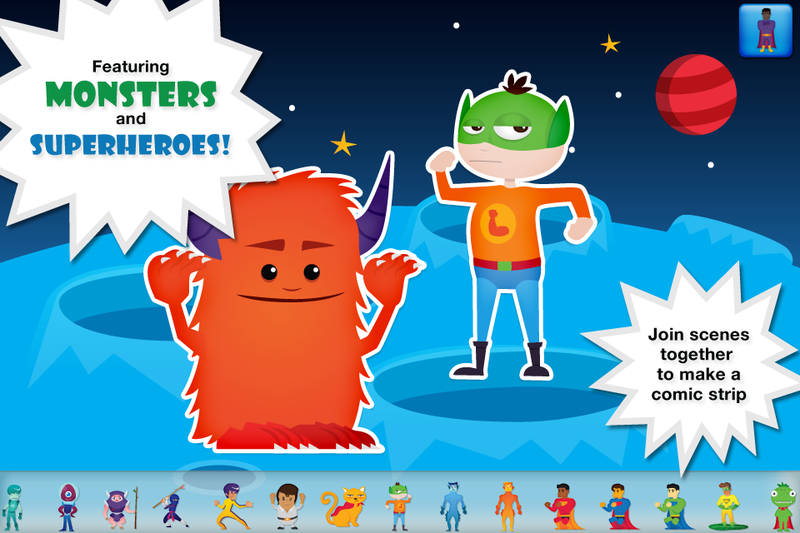 Featuring alien monsters, Super Dog, Big Foot, Captain Banana Man, Dinosaurs, Ninjas, and all kinds of fantastic superheroes and cute, fuzzy monsters. Save your comic books to share with friends!